Keep the Toiletries Flowing In! Home > Blog > Displays > Keep the Toiletries Flowing In! 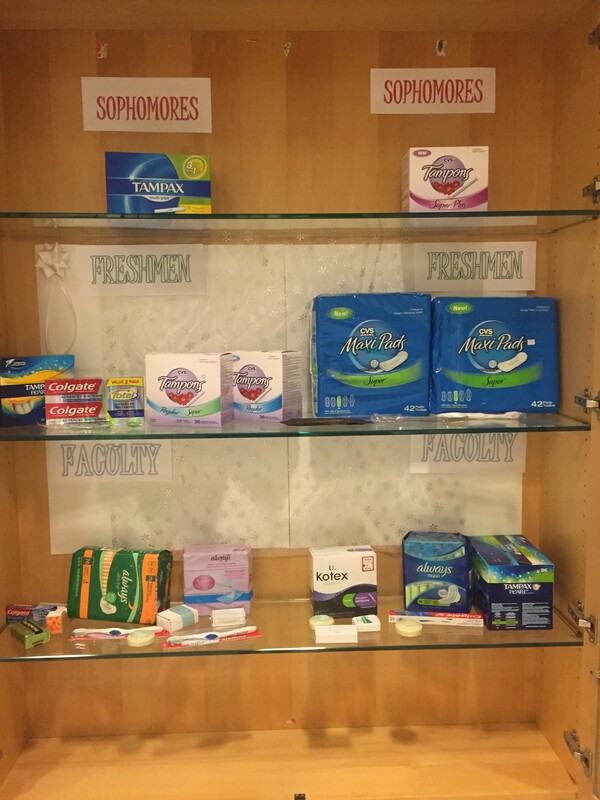 We’re off to a great start with our CSAB Toiletry Drive here at the library. The toiletries we’re collecting for the display cases in the hallway are going to support Rosie’s Place, a women’s shelter founded to provide care and resources for homeless and poor women. In this school-wide drive, the different classes and faculty teams are competing to see who is the most charitable and giving. 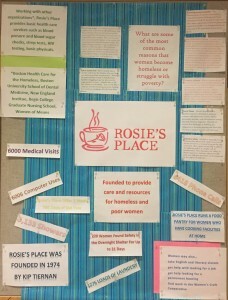 Look at the list below to see what you can do to help out Rosie’s Place! Basically anything that is a toiletry that is dry, new, and can stack. Thanks for giving to such a great cause! Girl Up Book Club Rocked!